5 Things to Consider when deciding to Purchase Comprehensive Coverage. State car insurance laws do not require physical damage coverage on vehicles. Although state laws vary by state, nearly all states require liability and property damage coverage. Lenders require full coverage insurance on vehicles they financed. Comprehensive is part of the mandatory coverage. When you sign your loan papers, you agree to protect the vehicle against physical damage by purchasing both comprehensive and collision. Failure to notify your lender of your insurance coverage can create expensive penalties for yourself. Ask your insurance agent to list your lender as loss payee on your vehicle. By doing so, your insurance carrier will automatically notify your lender of your coverage. What is your level of risk for having a comprehensive claim? Do you float down country roads at dusk bowling for deer? Do you park your car every night under a half dead 40ft tall tree? Do you live in tornado alley? All of these things put you at a high risk for having a comprehensive claim. Evaluate your circumstances. If you live in the city and have never seen a deer in your life, your risk of hitting one with your car is slim. 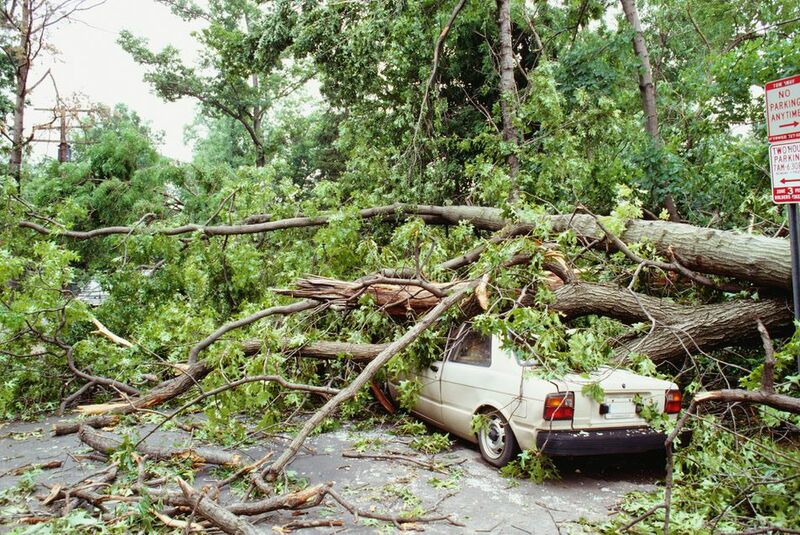 If you park in your garage every night and park in a parking ramp during the day, storm damage is not likely. The lower your risk is for a claim, the better off you would be without the coverage altogether. Knowing the value of your vehicle will help you determine if it is worth it to pay for comprehensive coverage. Check Kelly Blue Book and N.A.D.A. to get a good estimate of your vehicle’s value. The great thing about comprehensive coverage is it is typically reasonably priced. As long as you are not a high risk driver, comprehensive can be well worth the price. Even an older vehicle with minimal value is probably still worth a windshield replacement. Determine how much you pay for comprehensive coverage by checking with your insurance agent, or your declaration page. The argument could go either way when it comes to comprehensive coverage. Being such a versatile coverage makes it hard to give up. Anytime you remove coverage from your car insurance policy the motive is to save money. Unfortunately without a crystal ball, you do not know if you will have a claim in the near future. Removing comprehensive coverage is the right choice for many car owners, but the question you need to answer is whether or not it is right for you.